I adore movies. I also adore psychology. Being that I was a psych major in college, I have this special affinity for movies that have to do with psychology. Our local Blockbuster is closing, so the other day I popped in to see if they had any good flicks. People. I’m telling you, if you’ve been wanting any, and I mean any movies, run to your nearest Blockbuster and scoop them up! I got three for just $5.99 each (all of which are new releases) and I’m planning on going back this weekend to see if they are even cheaper. 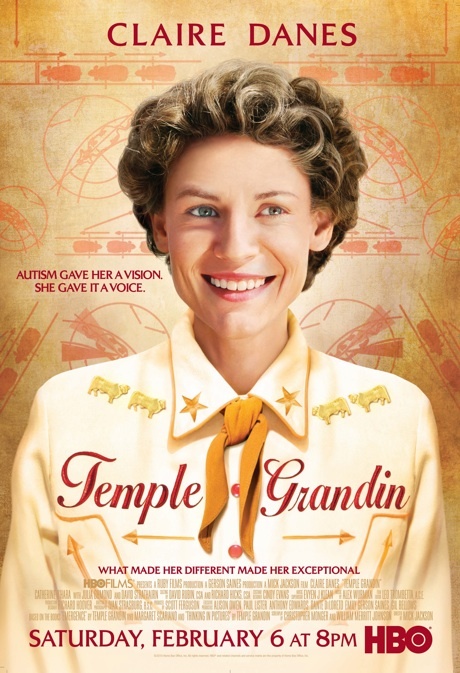 One of the movies I’d been dying to see was HBO’s Temple Grandin. If you’re not familiar with her, Dr. Temple Grandin’s work in the livestock and animal husbandry field has been monumental. 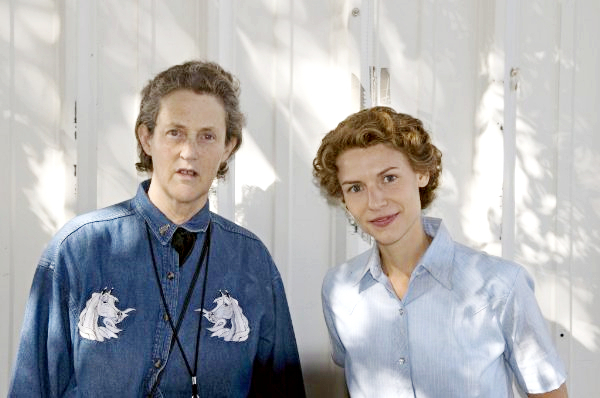 Through her work to improve animal welfare (specifically that of farm animals who will eventually be slaughtered), Grandin has earned a respected reputation as an advocate for the ethical treatment of all animals. The psychology part comes into play because TG has autism. This film delves deep into both Grandin’s experience with autism and her research. surrounding animal welfare. It is fascinating and thought-provoking. 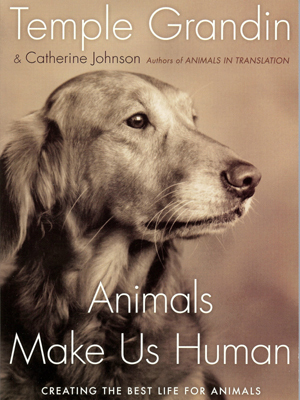 I also downloaded the sample of Grandin’s book, Animals Make Us Human, for my Nook. For more information on Temple Grandin and her research, check out her website. Have you ever gotten down on all fours and seen the world the way your dog sees it? I think you’ll learn something from it. Posted on March 24, 2011 May 14, 2011 by Shannon	This entry was posted in Movie Night. Bookmark the permalink.